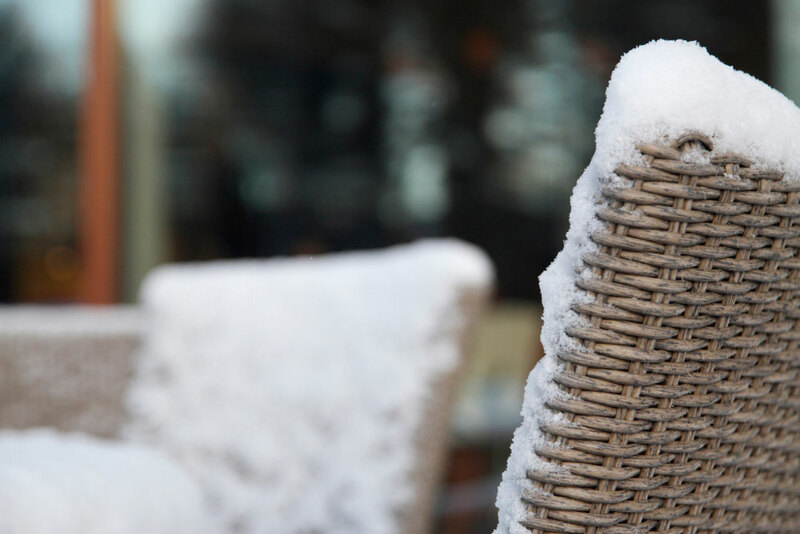 With summer coming to an end and autumn quickly approaching it will soon be time to start preparing your outdoor wicker furniture for the winter months. In Omaha, we experience a went and cold climate in the winter, and wicker is not designed to stand up to those elements. One potential solution is to place your outdoor furniture into self-storage. Today, Affordable Family Storage will discuss the steps you should take before placing your wicker furniture into your self-storage unit. The first, and likely most important step, is to make sure you thoroughly clean your furniture before placing them in self-storage. Moisture and dirt left on your wicker can quickly cause mold or mildew during the winter months. For wicker, simply use a dish soap and warm water solution and scrub and dirt clean from the wicker material. Clean and dry any cushions before you place them in self-storage. Make a solution of half-a-cup of Lysol and a gallon of hot water, then use a soft brush to scrub your cushions clean. Rinse them clean and allow them to dry completely. After your furniture has been cleaned and allowed to dry, it is time to apply a protective coat to prevent future damage. For wicker, use a coat of paste wax to the entire exterior. If your furniture has any metal pieces, check for signs of rust and remove with a wire brush before spraying with a silicone sealant. Once your wicker furniture is properly prepared to go into storage it is important that you pick a facility that offers climate-control. One of the bigger threats to wicker is extreme temperature and humidity changes. These often cause moisture to accumulate, which as we discussed earlier, can lead to mold and mildew accumulation. Choosing a self-storage facility with climate-control will ensure your belongings remain in a stable, safe environment during the winter. Affordable Family Storage is the premier self-storage facility in the Omaha area. With state-of-the-art climate-controlled units, 24-hour security, and an indoor facility, you can rest easy knowing your belongings will come out of storage in the same state as they went in. If you are interested in renting one of our self-storage units, contact our team today at 402-415-2165 to learn more. Or if you prefer you can stop by our facility at 5000 L Street in Omaha.